It’s no secret around here that we love Montréal and think it’s a great choice for any event. And given the variety of conferences and meetings held here each year, we’re pleased as pie to know you like us too. In 2018, we’re the proud hosts of a full calendar of events and conferences including major meetings in medical sciences, robotics, Japanese culture, agriculture and the arts. Here’s an early peek at some of the groups we’re excited to welcome to our city this upcoming year – and hopefully your next events will join the list as well. 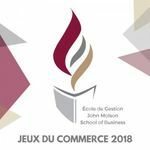 The largest academic competition across Eastern Canada hits Montréal for its 30th edition. Broken up into social, athletic and academic tournaments, 1500 participants will battle it out for the prize (and subsequent bragging rights) in events ranging from Sustainability to Netball. Based on this year’s theme of Passion and Tradition, the F&B Management Conference blends education, networking and visits to two of Montréal’s top clubs and the Bell Centre. Three days of 1-on-1 meetings with some of the biggest buyers in the Americas – a must for meeting professionals. The ACM CHI Conference on Human Factors in Computing Systems is the world conference leader in Human-Computer Interaction. Bringing together international professionals for a week’s worth of idea exchange, the future of interaction begins here. Attended by some of the world’s leaders in cell therapy, regenerative medicine and gene therapy, the ISCT Annual Conference will both share the latest technologies and set the upcoming trends for cellular therapy. Over 850 exhibitors from 50 countries display the latest wares and innovations in agrifood, ranging from regional specialities to international favourites. Save space for desserts. This regular gathering of policy makers, scientists, practitioners and world leaders in marine biodiversity focuses on the current state, preservation efforts and future challenges faced by marine biodiversity. Since 1969, the Association de la Sommellerie Internationale has provided its members with the latest news, tastes and training in the world’s finest wines and spirits. 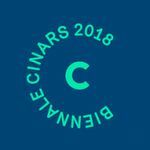 As exciting lead-up to their World Contest, the continental contests name the best sommeliers of Europe, Asia and Oceania and the Americas. We’re keeping a close eye on local Carl Villeneuve-Lepage, the sommelier at Montréal’s Toque! restaurant and current title-holder of Canada’s Best Sommelier. 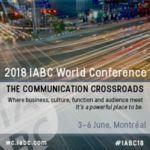 The IABC World Conference plays host to participants from over 30 countries under this year’s theme of “The Communications Crossroads,” aiming to explore the intersections between audience, culture, business and function where the business communications field resides. The annual meeting of the Canadian Anesthesiologists’ Society marks its 75th anniversary with the conference theme Advancing Anesthesiology, Excellence & Leadership, over three days of education, speakers and networking. An estimated 5000 robots and over 3000 attendees from over 35 countries will fill the halls of the Palais de congrès in a week’s worth of workshops, education and competition. Proudly the only conference you’ll find international experts in the field of Artificial Intelligence side-by-side with 11-year-old robotics champs competing for the same prizes. Marking the 70th anniversary of TOPS Club, their Vive TOPS celebration brings together 2000 members for two days of celebration and commemoration of weight-loss success. Organized by: TOPS Club Inc.
A joint meeting between the American Society of Plant Biologists, the Canadian Society of Plant Biologists and the International Society of Photosynthesis Research, Plant Biology 2018 presents the most recent cutting-edge developments in the field. Fluid flow technology plays a large role in modern day functionality, and the latest and greatest in fluid mechanics, industry forerunners and exciting new developments will all come together in a week’s worth of meetings, lectures and events. The 13th edition of Quebec’s largest Japanese anime and pop culture festival presents a packed weekend’s worth of special guests and events highlighting manga, anime, video games and Japanese culture. Tracing its roots to the first International Congress for Experimental and Therapeutic Hypnotism held in Paris in 1889, the World Congress of Medical and Clinical Hypnosis continues its series of regular conferences on the healing applicability of hypnosis this year in Montréal. Marking 40 years as an active organization, the ABMR’s annual gathering of thousands of the world’s bone and mineral researchers heads to Montréal in the autumn of 2018. Spotlighting the latest developments in orthopaedic surgery, the 4500 attendees of the SICOT World Congress range from global leaders to international students in the field. The AOIR’s annual conference pulls together an international group of attendees working in the cross-disciplinary field of Internet studies, this year focusing on Transnational Materialities. For its first return to Canada in 12 years, the World Stroke Congress’ 11th meeting showcases the newest developments in stroke care via an educational and scientific program ranging from epidemiology, care, recovery and prevention. An assembled group of over 3000 members, students and industry leaders gather to shape the future of nursing in Québec and beyond. Arts professionals from around the world gather for six days of networking, performance (featuring music, dance and more) and international exchange. 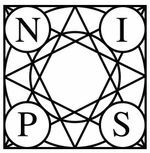 A multi-track machine learning and computational neuroscience conference composed of special talks, symposia, demonstrations and other presentations, the thirty-second NIPS conference is one of the year’s biggest medical science events.